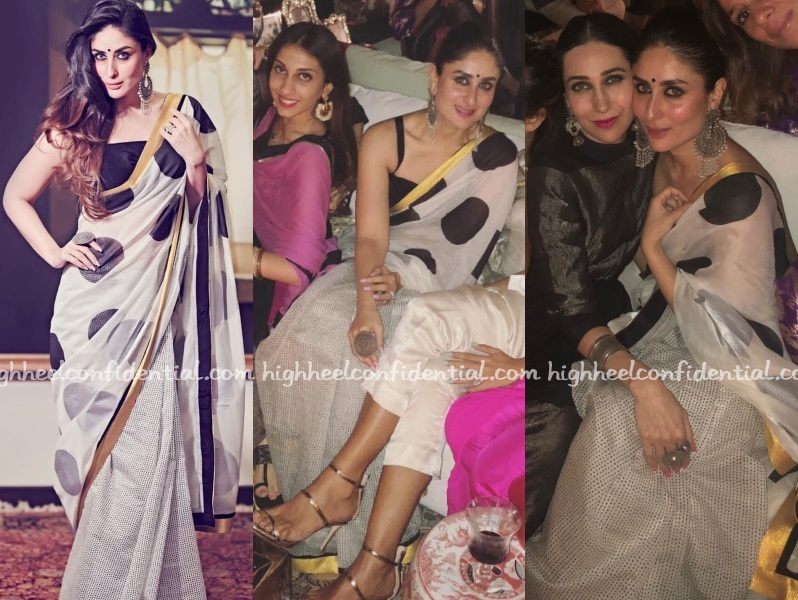 Saif and Kareena attended the reception with Saif opting for desi in a black bandhgala and Kareena for a shimmery green gown by Russian based label, Alexander Terekhov. 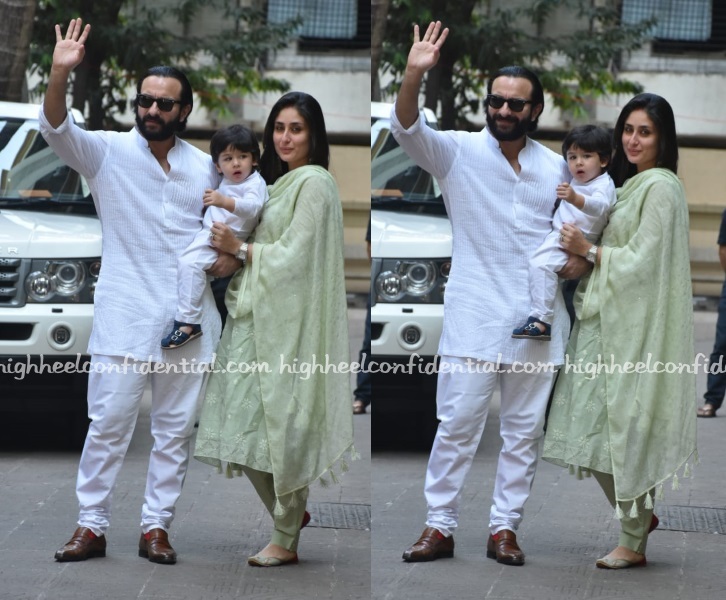 At a success party of his movie, Saif Ali Khan was spotted pairing his jeans with a button down and vest. I wish he opted for some trousers for a formal effect or ditched the vest for a more casual look. As it stands, the look wasn’t one that worked for him. 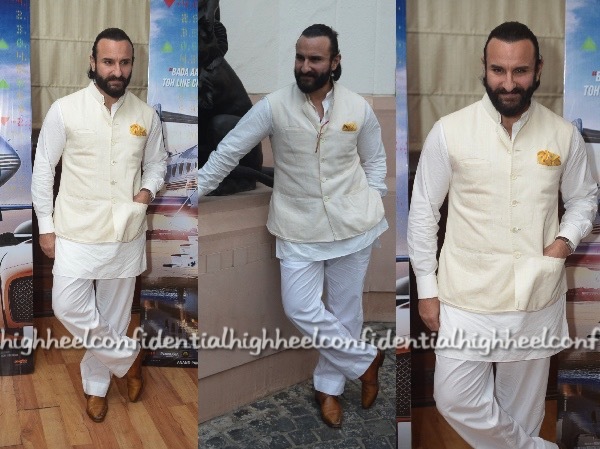 Saif Ali Khan kept it casual while promoting his upcoming movie in a kurta and bandhgala. 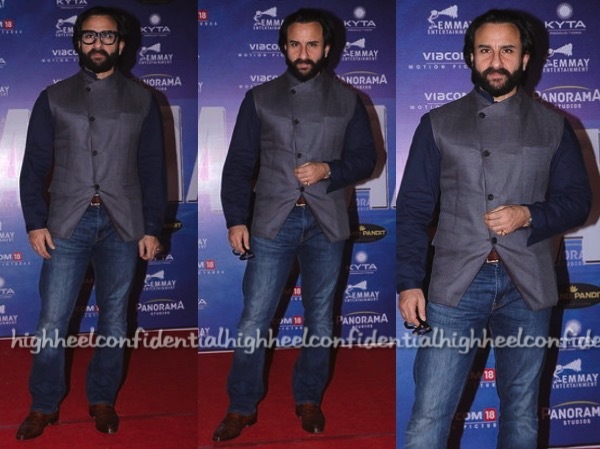 While the kurta pajama was casual, pairing it with the sharp bandhgala, made the look a bit mismatched. Maybe ditching the pajama and opting for jodhpurs might have been a better option?